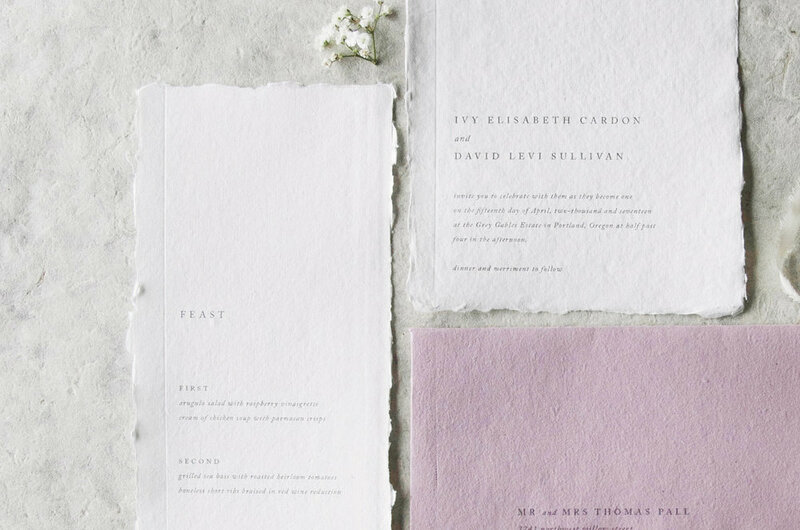 One of the drawbacks from going semi-custom is not having the professional input to make sure your paper goods will coordinate nicely while still reflecting your wedding style. 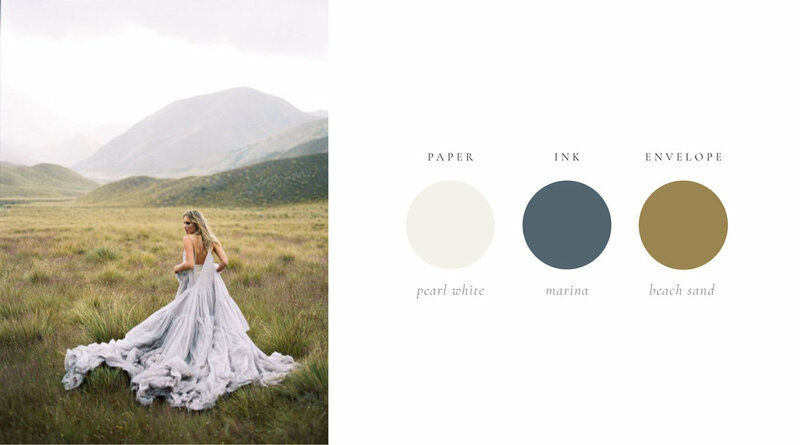 Our way of remedying this issue is by creating 10 popular color palettes (from our research of the current wedding industry trends) and using this inspiration to create beautiful color combinations with the paper & ink colors we offer. 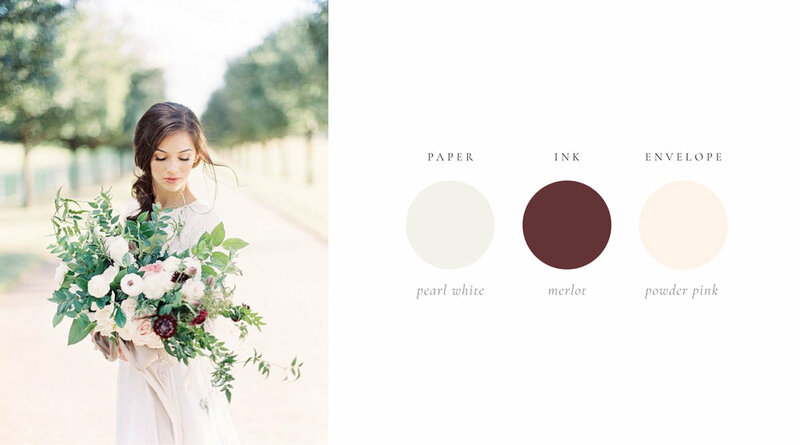 Our goal is that these color combinations inspire and guide you to pick the perfect combination for you! 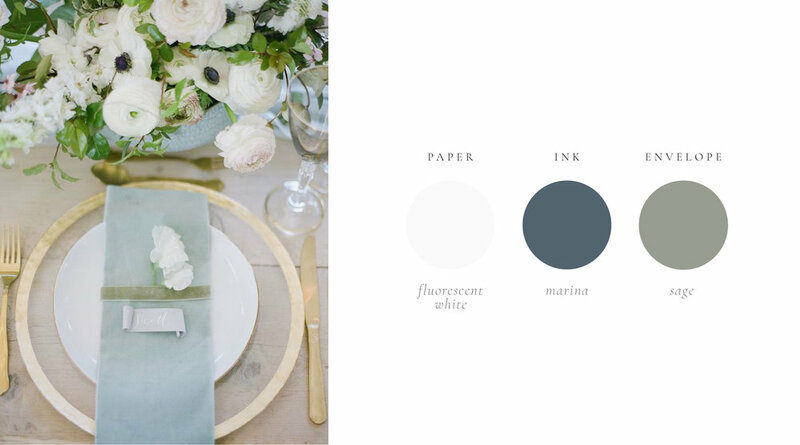 Aside from these options, we're always available to help you pinpoint the perfect colors for your wedding, so don't be afraid to reach out. We're one week away from launch day! p.s. For other tips or insight into wedding stationery & planning, click here and be sure to subscribe to be the first to know when our Semi-Custom Shop launches! 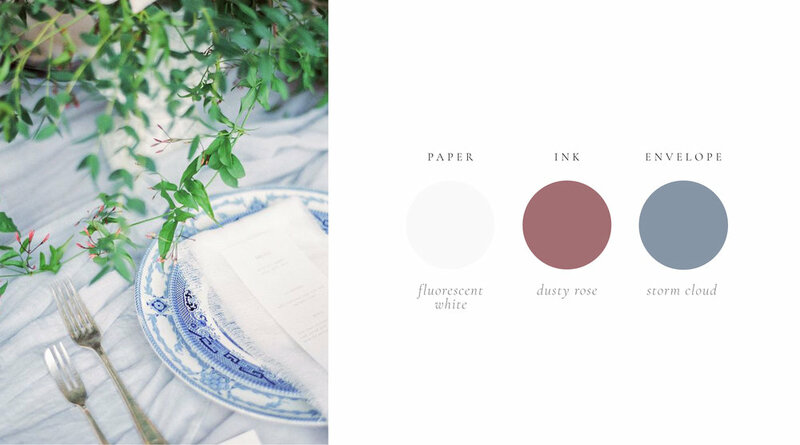 Today we're featuring our Ivy suite, created as a handmade paper study that we have fallen in love with. We hope you'll adore it too! 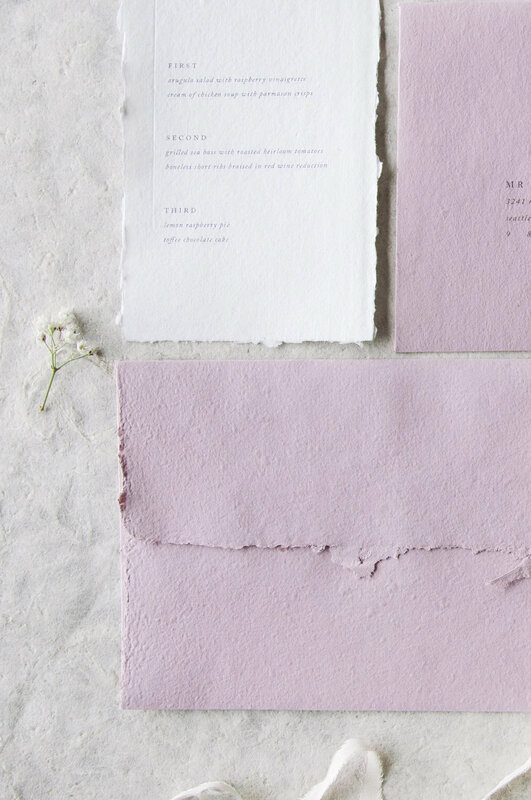 This suite is printed on handmade ivory paper from Fabulous Fancy Pants, and paired with a beautiful mauve handmade paper envelope from Owl Post Calligraphy. 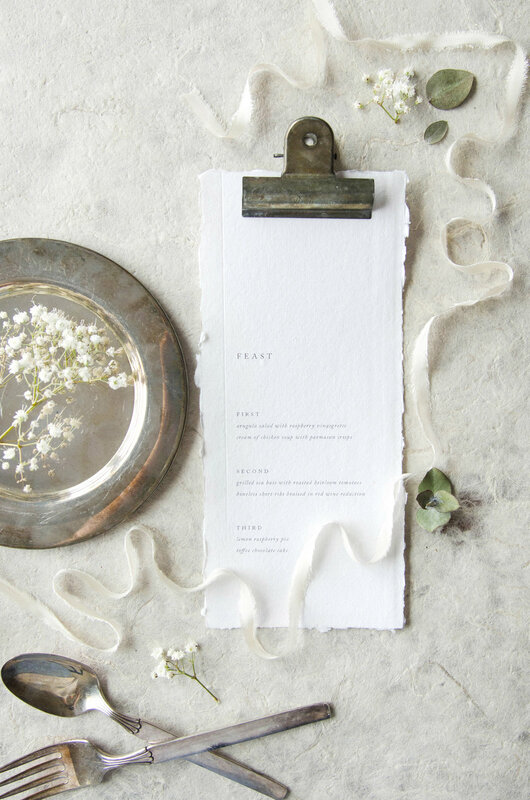 We kept the design minimal and delicate to let the texture of the paper shine through. Adorned with a hand debossed line on each piece, the tactile elements of this suite create an impactful experience for each guest who receives it. We look forward to using these handmade paper vendors and continuing with this aesthetic for future projects!